c – Compact distribution – many spots between leader and follower with at least one mature penumbra. 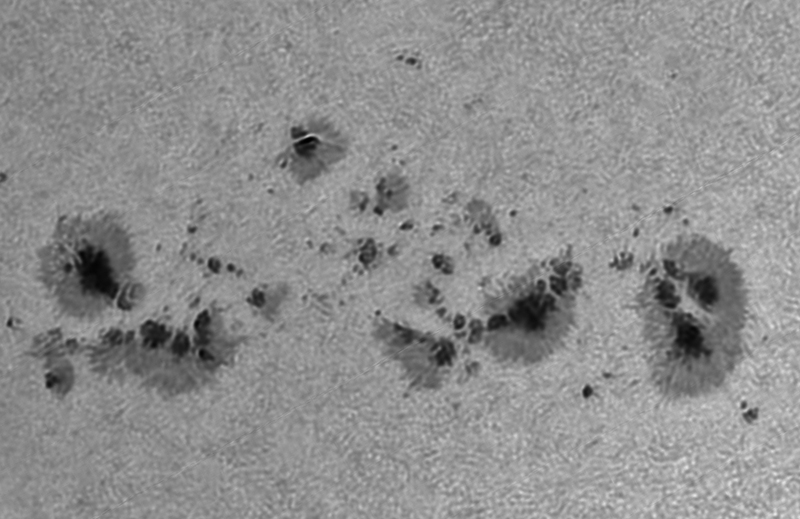 Numerous light bridges can be seen crossing the dark umbral regions and a few umbral spots can be seen inside the dark umbrae. 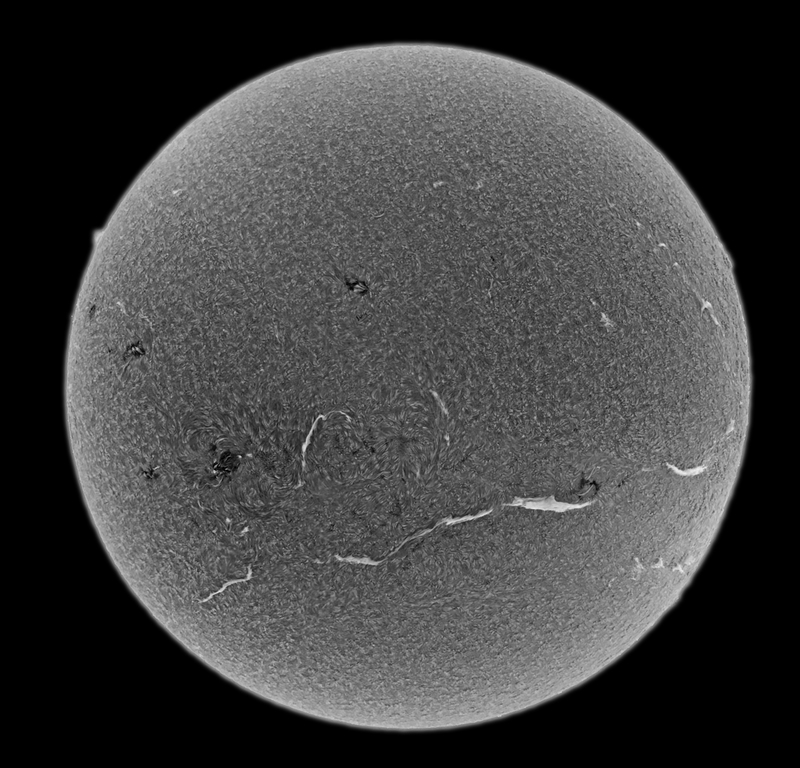 I have used a two stage Lucy Richardson deconvolution process on the zoomed image to sharpen it up. Bag flats used to remove spots and dust. 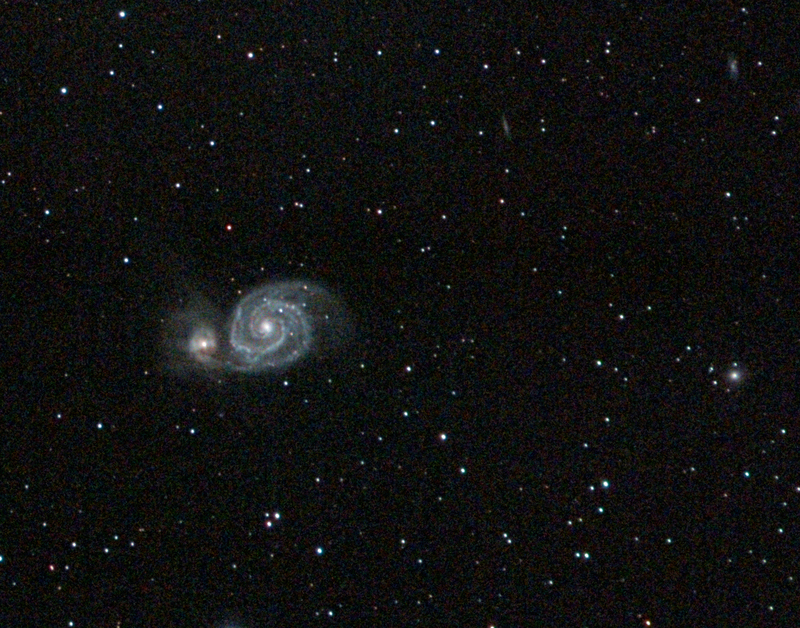 I started to image M51 a little while ago but only got 4 x 5 minute subs before the clouds came in – frustrated I gave up! Its going to be a cloudy weekend here so I tried adding those 4 subs to my images of M51 taken about a year ago. 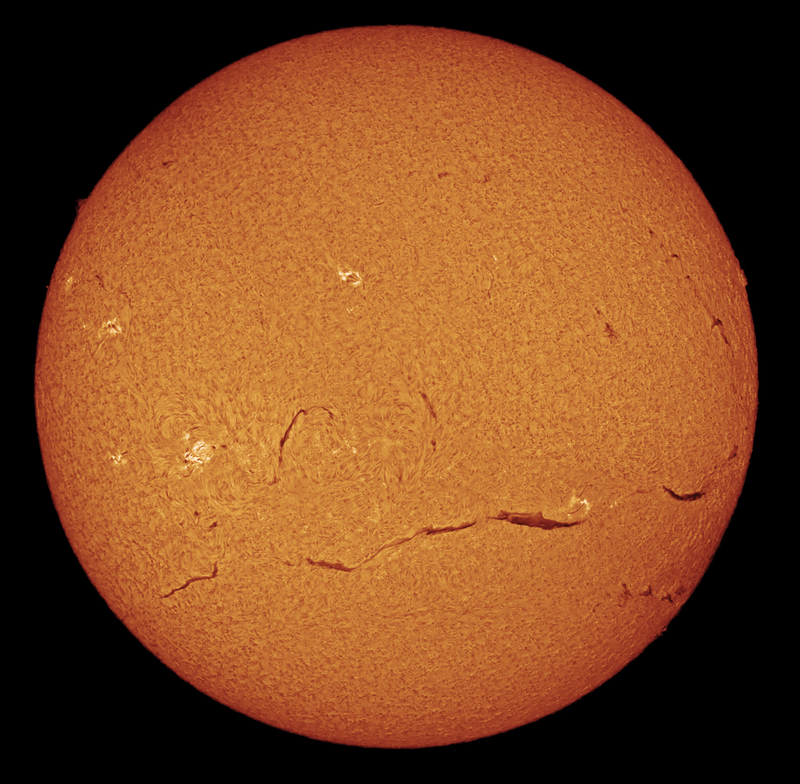 I think it has helped but I really need to get a bigger scope if Im going to get better galaxy images. 2 small spiral galaxies to the NE (if N is at the top) are IC 4263 and NGC 5169. 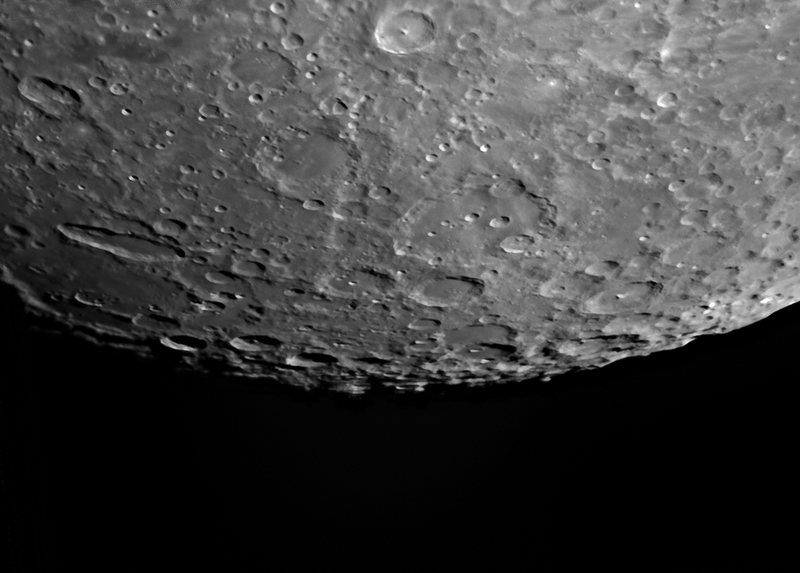 Also first use of drizzling technique in PixInsight to help improve resolution. 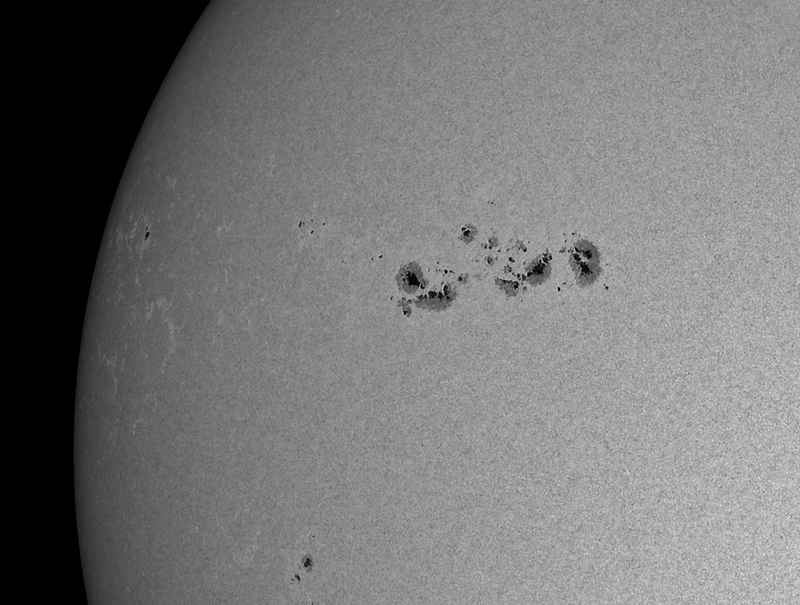 Now a total of 65 minutes imaging. Philip Harrington’s book “Cosmic Challenge” contains about 110 challenges for an astronomer. No. 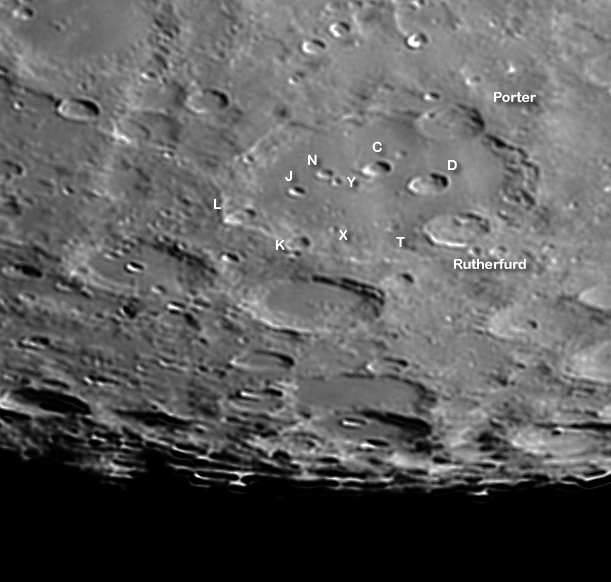 76 is to image as many sub-craters inside Clavius as possible. – This is my second attempt and its better, but could be much improved.